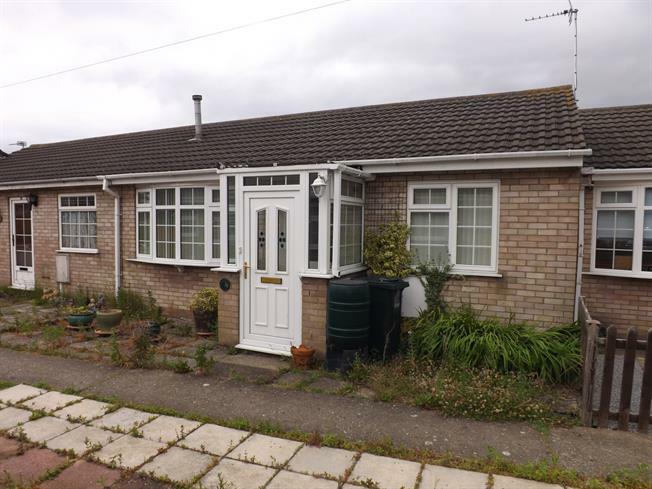 2 Bedroom Terraced Bungalow For Sale in Skegness for Asking Price £65,000. Two bedroom mid terrace bungalow, double glazed windows and doors, lounge, kitchen, shower room, gas heating, one allocated parking space, no onward chain. Double glazed window facing the front. Radiator and electric fire, carpeted flooring. Double glazed door. Double glazed window. Wall mounted gas boiler. Roll edge work surface, wall and base units, stainless steel sink, integrated electric oven, integrated electric hob, overhead extractor, space for washing machine. Double glazed window with frosted glass. Electric heater, tiled walls. Low level WC, single enclosure shower, vanity unit. Low maintenance gardens to both the front and rear, and one allocated parking space.